Yesterday, we got in the car and I asked Nate: "Where do you want to go?" 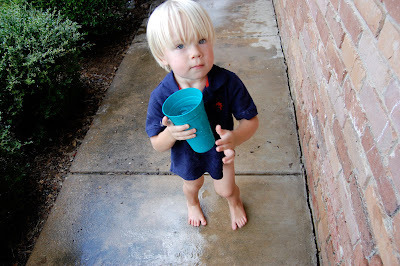 He said: "Paradise Falls, Mommy." Uh... clearly we've been watching too much TV in this weather. Posts like this make me feel a little less guilty. 17 days of 100 plus temps and counting...I think for the first time ever I might be ready for fall. OH MY GOD. that's the cutest thing! you can't be worried about him watching too many things, kat. you're a great mom and sometimes tv/movies are educational. you watched them when you were little and look how awesome you are :) thanks for taking care of my sweet sister. she had the best time! I'm with Nate. 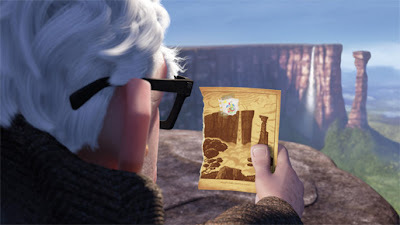 I want to go to Paradise Falls too. Thanks for following! He's a cutie! I'm so over this heat too! Um, that's the cutest thing ever!